Bharat Sanchar Nigam Ltd. was incorporated on 15th september 2000 . 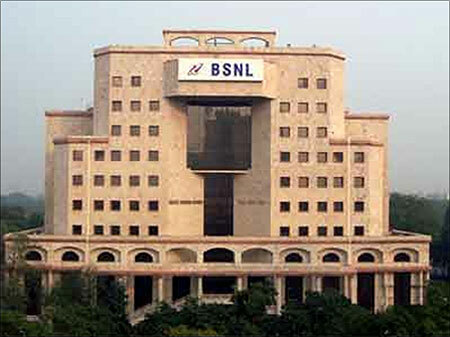 It took over the business of providing of telecom services and network management from the erstwhile Central Government Departments of Telecom Services (DTS) and Telecom Operations (DTO), with effect from 1st October‘ 2000 on going concern basis.It is one of the largest & leading public sector units providing comprehensive range of telecom services in India. BSNL has installed Quality Telecom Network in the country & now focusing on improving it, expanding the network, introducing new telecom services with ICT applications in villages & winning customer's confidence. Post: Junior Telecom Officer (JTO). Applicant must possess the educational qualifications as given in Annexure-A, on the closing date of application for JTO (T) Exam in BSNL. The Junior Telecom Officer (Telecom) shall be appointed in the IDA pay scale [E-1] of Rs 16,400-40,500/- with annual increment (@ 3% of basic pay plus IDA, HRA, Perks, Medical Benefits, etc. admissible as per company rules. Candidate shall not be below 18 years and not exceed 30 years as on the closing date of the receipt of the Online applications from the candidates (as on 10″ December, 2015).